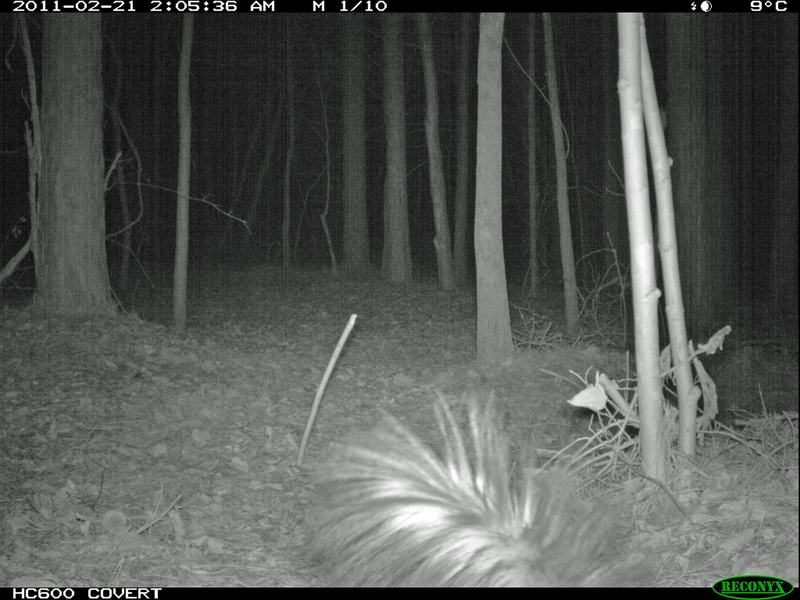 Editor’s note: John Groves, the former curator of Amphibians and Reptiles at the North Carolina Zoological Park, wrote this article for FieldTripEarth in 2011, the first year camera trapping research started at the NC Zoo. A new camera trapping project started at the Zoo in Summer 2015; we’ll monitor that project as it moves forward. Not all of the NC Zoo’s exotic animals live in skillfully-crafted exhibits. Multitudes of wild natives—foxes, snakes and birds—wander freely over the Zoo’s property. The Zoo’s Animal Division staff views these natives with intense interest and, over the years, has carefully documented the amphibian and reptile species and, to a lesser extent, the moth, crayfish, fish and bird species that come and go inside the Park. Until recently, though, the native mammals have avoided this level of scrutiny. Now, with the help of some new partners, a few of our free-ranging mammals will step into the spotlight. We have partnered with two biologists to investigate the predatory mammals that wander freely inside the Park. 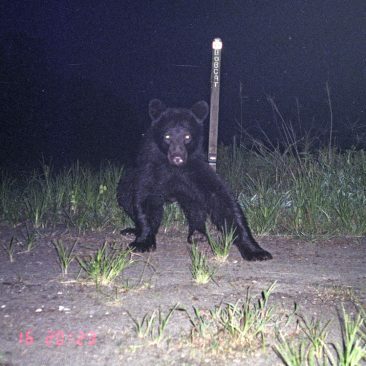 Dr. Louise Allen, an adjunct Professor of the Department of Biology at Winston-Salem State University, and Dr. Joshua Kapfer, an Assistant Professor of Environmental Studies & Biology at Elon University, will lead the research to identify who hunts here and how these hunters use the land. This research will also allow us to examine how these native predators affect, and are affected by, our exhibits. Typically, predators hold a strong grip on the demographics of their biological communities. By influencing their preys’ population numbers, predators manipulate the way that energy and resources flow up and down a habitat’s intersecting food chains. This research will peer into these intersections with the goal of minimizing any disturbances the Zoo makes to existing biological communities. 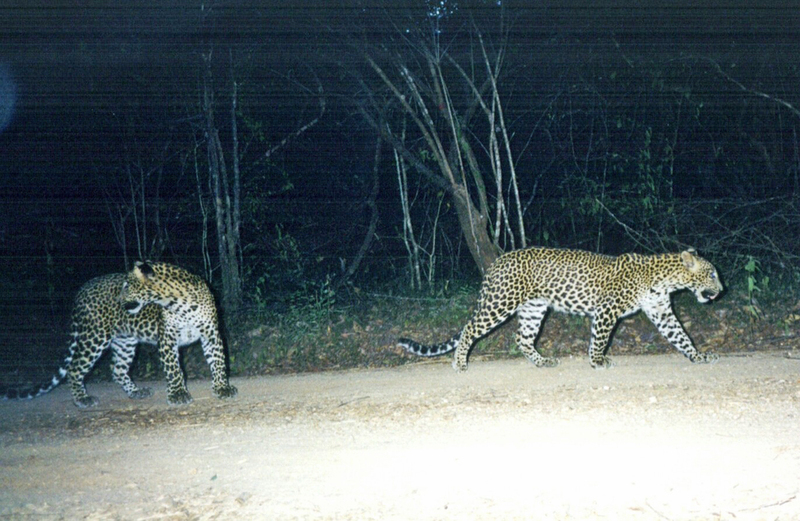 Our study will rely on spy technology to identify and follow our wild Carnivores in action. 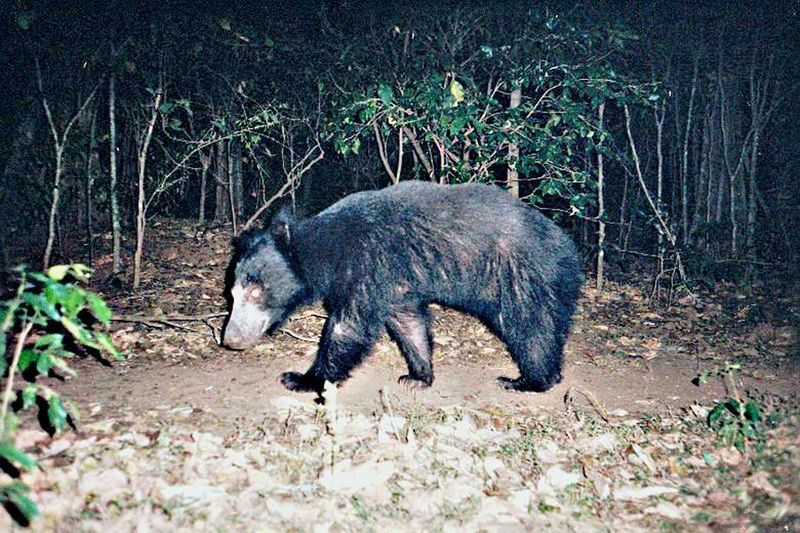 We will capture their movements by hiding camera traps in undeveloped sections of the Park. 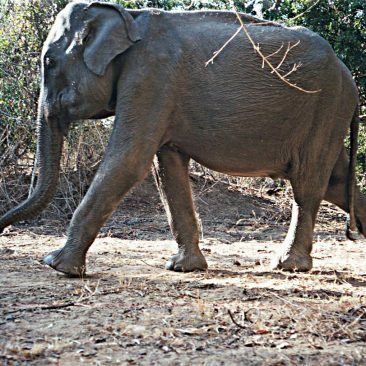 Equipped with motion detectors, the cameras will snap digital images of animals that trip the cameras’ sensors. 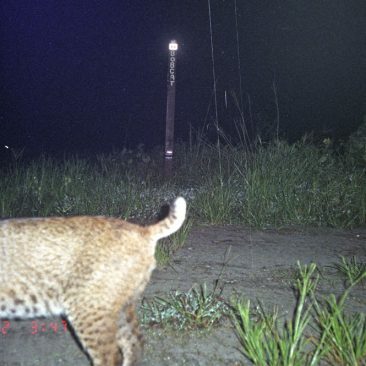 We will attach the cameras carefully, so as to keep the trees from harm, and will focus the lenses on clearings and openings where staff has seen Carnivores—Bobcats, Coyotes and Red and Gray foxes—roaming in the past. We will concentrate the cameras in the Zoo’s wild places, away from pathways frequented by visitors or staff. Over the next few years, we hope to record photos of Carnivores trotting through a range of different habitats inside the Park’s 2,000 acres. 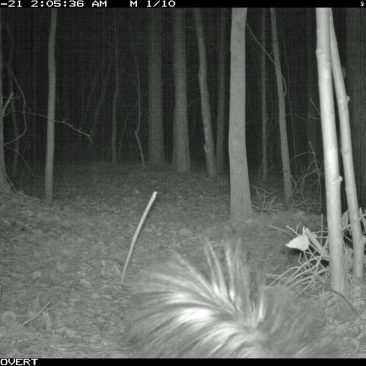 Once these images start rolling in, our academic partners will identify them and, possibly, suggest relocating the cameras to places that appear to be attracting our study subjects. 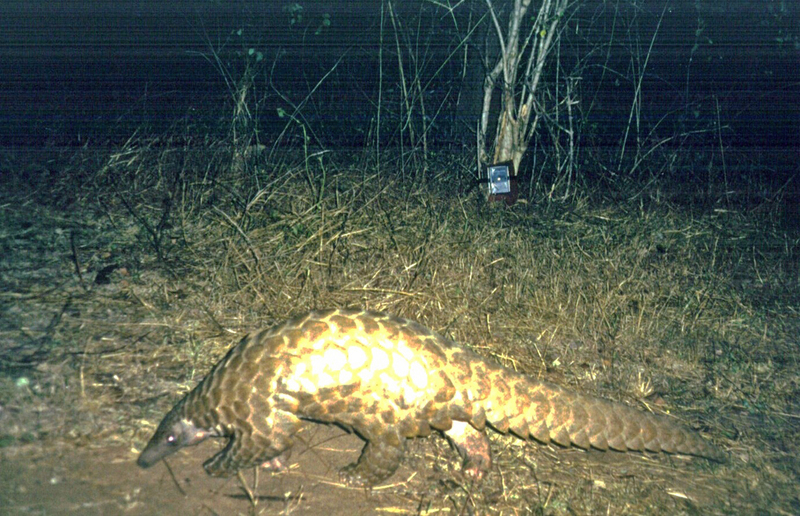 The camera traps consist of small digital cameras set inside lockable metal boxes. We have selected cameras that can capture images both day and night and that automatically stamp each image with a date and a time. The cameras do not discriminate, so they will record pictures of every animal that passes by, Carnivore or not. About once a month, we will collect the images and turn them over to investigators, staff and students for review. 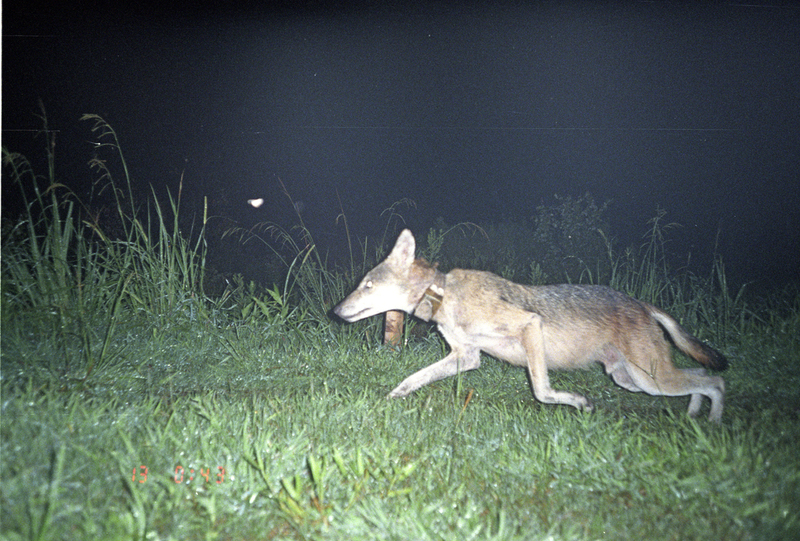 We chose a 30-day schedule so that we can keep human activity to a minimum in the photo trapping areas. 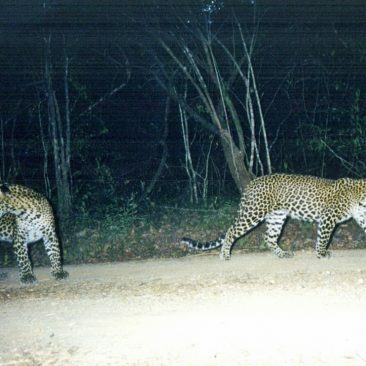 The camera traps will be angled to completely cover defined transects—or sections—of the Park. 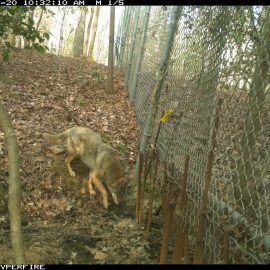 Our researchers will use the data from these defined transects to get an idea of the density of predator populations throughout the N.C. Zoo’s property. Every image of a predator will be carefully reviewed, analyzed and categorized to allow the researchers to learn to recognize the animals as individuals. Researchers will use physical attributes—body size and shape, spots, coat color and other markings—as identity clues. 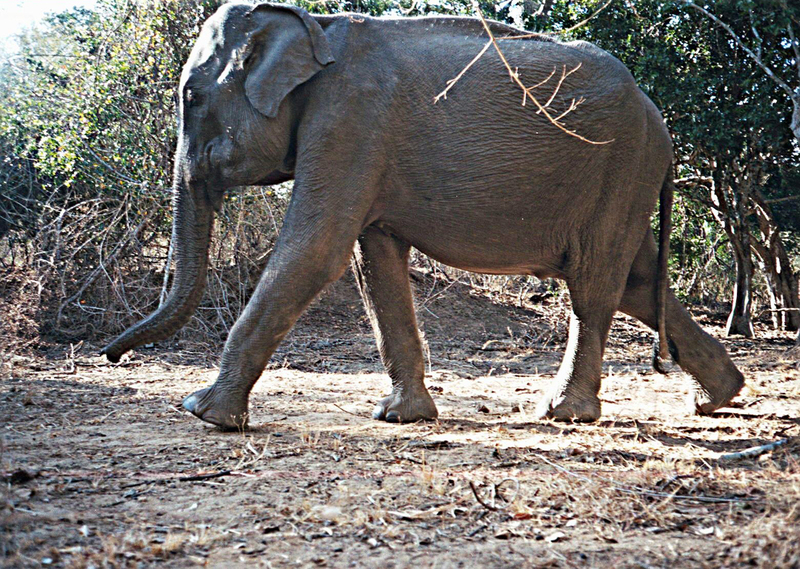 Once the photos have identified individuals, researchers will be able to refine their estimates of each species’ population size and will be able to track how each individual spends its time on the Zoo’s land. Once we capture an image of a species inside the Park, we can, obviously, use the image as evidence of the species’ presence. But, we will not be able to assume the opposite—that the absence of a photograph is evidence for a species’ absence. 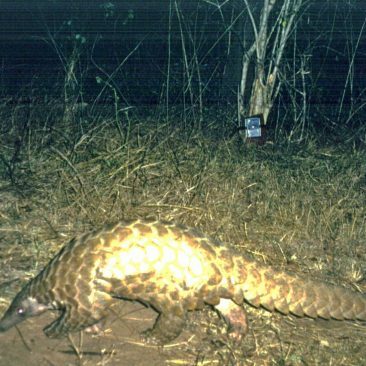 Luck, extreme wariness or a behavioral quirk may keep a species out of camera range. So, if we fail to grab a species’ image, we will rely on some old-fashioned, low-tech, detective work to confirm a species’ absence. Staff and investigators will trek through the landscape, looking for scats, digs, scratch marks or other physical signs for any phantom species. We will probably also set out a few visual attractions, called “fladries,” to draw predators into camera range. Fladries are usually shiny objects, like tin pie plates or recording tapes, that are hung in places where they can catch the wind. Shiny, twirling objects can peak predator’s curiosities and draw them into camera range. 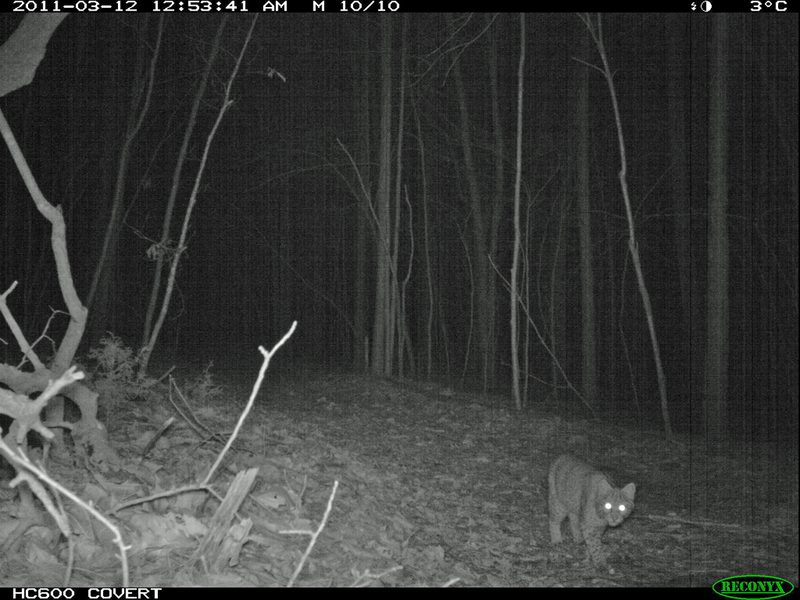 Bobcat: This large predator is common in the South and will be a main target of our study. Historically, staff has seen Bobcats roaming in remote parts of the Zoo. Recently, the frequency of these spottings has declined and we hope to learn why. 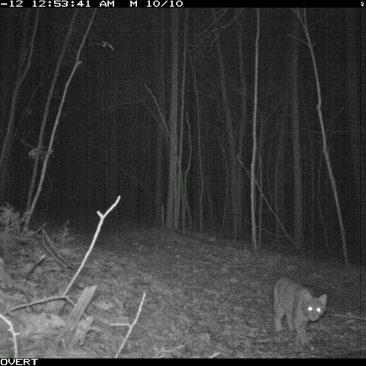 Bobcats have large home ranges, so even resident animals could wander on and off the property. Foxes: Two species of these predators—Gray and Red—occur regularly in the Park. Spottings are more common for Gray than for Red foxes, but this difference may relate more to differences in species wariness than to differences in abundance. Both species are important to the local ecology because they keep rodent populations in balance. 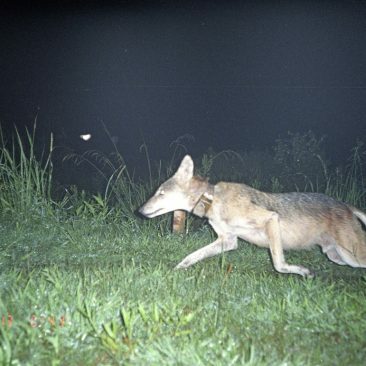 Coyote: These dogs arrived in North Carolina in the 1980s, spreading out of the West as people opened up large tracts of eastern forests and laid down highways that made travel easy for these opportunistic dogs. 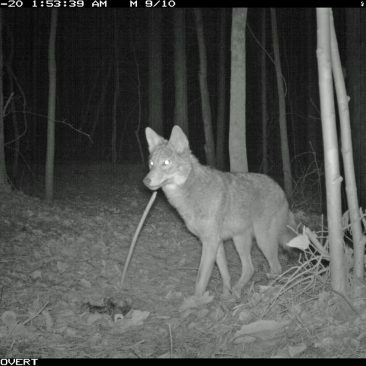 Coyotes arrived in Randolph County recently and use the Zoo’s property. 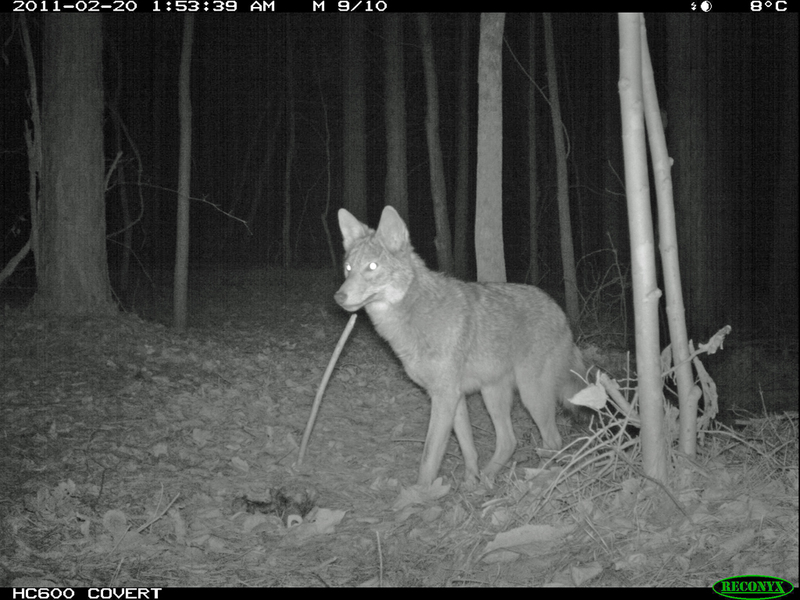 Coyotes prey on a variety of animals, including insects, small and large mammals up to the size of deer. We need to manage these predators to protect the antelope on the African Plains. 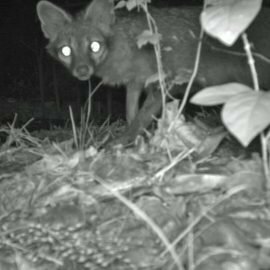 The camera traps will provide us with a non-invasive method for tracking predators and learning about their lives and behaviors. The study will also allow us to train students and staff to use new research techniques. This study will complement other native wildlife research taking place at the Zoo. Taken together, they will help us find ways to use our land sustainably. We want our native wildlife to thrive for many years to come. And, we want to manage our land to provide a safe haven for all the wildlife living at our Zoo—in or out of the exhibits. This study will help us keep our land healthy for future generations of people and other animals to enjoy. 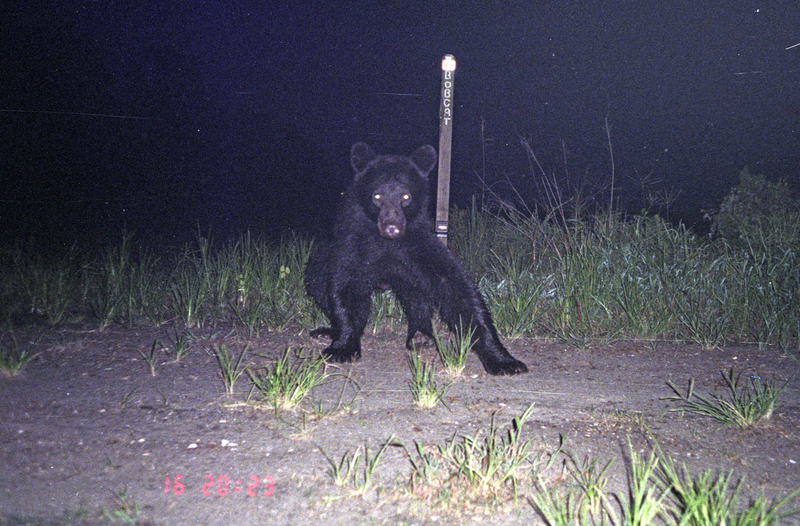 Editor’s Note: Field researchers frequently use camera traps as a first step in the field research process. 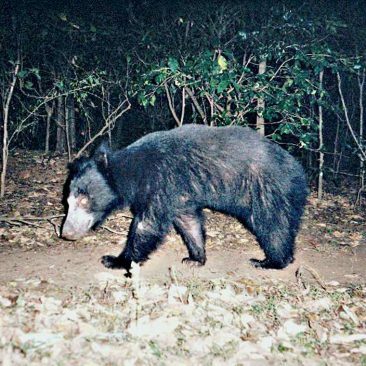 Data from the camera traps help researchers understand what animals are present in a habitat, and can assist in making decisions about important conservation and research questions. 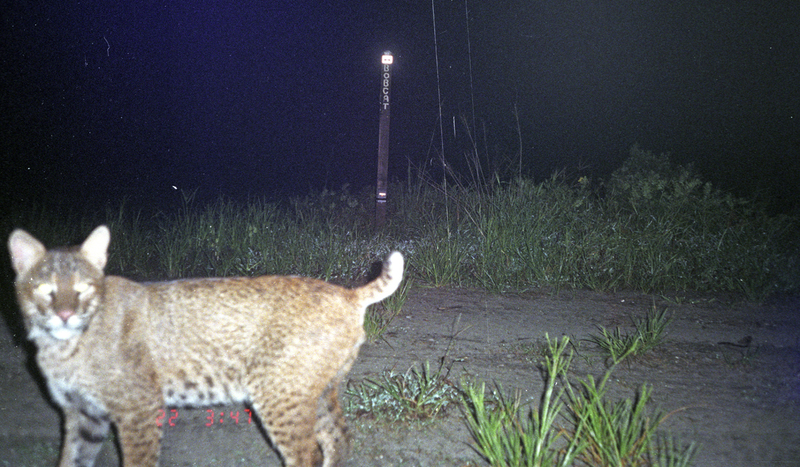 Below is a gallery of camera trap photos from other research projects around the world.